The chicks have grown very quickly over the past week. 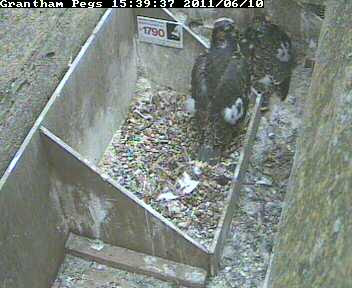 Unfortunately they are now quite mobile and spend most of the time away from the nest tray and out of view of our camera. However, mid afternoon today, I noted that two were back in the tray (sheltering from the rain) and I was able to grab the image above. They now look virtually fully feathered.